The assassination of the UN experts––what do we know? Today, Reuters and RFI released a simultaneous articles into the killing of Michael Sharp and Zaida Catalan on March 12, 2017. Drawing on the internal Congolese military court documents shared by the United Nations, It exposes the involvement of several government informers in the killing, and raises serious questions about the UN Board of Inquiry that had investigated the incident. Michael and Zaida had gone to Kananga to investigate the Kamuina Nsapu rebellion as members of the UN Group of Experts. They were killed on March 12 on their way to Bunkonde. The government announced that they had been assassinated by the Kamuina Nsapu militia. The UN set up a Board of Inquiry (BoI) into the killings, which submitted its report in August 2017. While the BoI was mostly focused on internal UN security procedures, it concluded that the experts were most likely killed by Congolese militiamen. A follow-up investigation by former Canadian prosecutor Robert Petit is underway. Shortly after their arrival in Kananga, the UN experts meet with Colonel Jean de Dieu Mambweni, a Congolese army commander in charge of public relations (another source said he was an operational commander). Call logs show that Mambweni then got in touch with Betu Tshintela, a local interpreter who goes on to help organize their fatal trip. Shortly after that call, Zaida calls Betu, suggesting that Mamwbeni had put Betu in touch with the investigators, a theory confirmed by a local security official. For the following 48 hours, every time the investigators call Betu, he then calls Colonel Mambweni. On March 11, the day before the two investigators leave Kananga to venture into territory controlled by the Kamuina Nsapu militia, Betu comes to visit Michael and Zaida at the hotel with his cousin, José Tshibuabua and François Mwamba, a local healer who had been involved in peace talks with the government. Thomas Nkashama, a member of a rival faction of the family of Kamuina Nsapu, the assassinated originator of the eponymous militia, is also there. Zaida records the meeting on a hidden microphone. During the conversation, Mwamba warns the investigators against going to Bunkonde, saying he does not control the militia there. This warning is not relayed by the interpreter and his cousin, who instead say that their safety there is guaranteed. Betu says he will even accompany them. Later, Tshibuabua organizes the three motorcycle drivers who are supposed to take them the following day. Tshibuabua has several phone calls with Betu, the interpreter, on the morning of the assassination before the group leaves Kananga on their motorcycles. At 12:06 on March 12, he calls Betu again––it is the last confirmed phone call with the group before the assassination. Later that evening, he has a three minute long phone call with the provincial director of the DGM, after which he tries to call his cousin Betu and Michael Sharp. We now know that Tshibuabua is a former informer for the national intelligence agency (ANR), a fact confirmed by Kalev Mutond, the ANR director, who cautions that Tshibuabua was never an employee. Nonetheless, Tshibuabua was in frequent telephone contact with the provincial ANR director, as well as the provincial head of the migration agency (DGM), which also gathers intelligence, throughout this period. Several weeks after the assassination, Tshibuabua is given a job at the DGM. Then, in November, just before a UN investigator was due to arrive in the region, Tshibuabua was arrested and taken to Kinshasa. His lawyer says he has been tortured. Bizarrely, Michael Sharp’s telephone is suddenly active again two monthly after his death. It calls a local Kamuina Nsapu leader, Vincent Manga, who is later accused by the government of having killed the experts. The calls were initiated by Michael’s phone. Manga had no other contact with anyone in the team that prepared the visit for the two experts. A video of the assassination is found in April 2017. On it, one can see how Michael and Zaida are shot by youths wearing red headbands, like the Kamuina Nsapu. Several anomalies, however, appear on the video: First, two members of the group of assassins speak poor Tshiluba, the local language, according to analysis by a linguist. It would be extremely strange to have outsiders participating in what was quintessentially a local militia. Also, one of the commander of the group gave orders in Lingala to shoot the experts, another anomaly. According to an expert on local traditions, the killers are not wearing the customary fetishes of the Kamuina Nsapu. Finally, the assassins reference a meeting that took place, possibly to plan to killing, in Bunkonde––a village that had been controlled by the army since February 2017. The killing is then almost immediately reported by a local teacher, Jean Bosco Mukanda. The last sign of life from Zaida comes at 16:49 on March 12––a mere 26 minutes later, Mukanda places a series of calls to journalists and politicians, informing them that two white people have been killed by the Kamuina Nsapu. On March 18, Mukanda leads UN blue helmets to the grave site, where the bodies of Michael and Zaida were buried. He then becomes the star witness in the murder trial, which began in June 2017. He says that he witnessed the killings that day and that he had been arrested by the Kamuina Nsapu himself several weeks before the assassination, which is how he could recognize the perpetrators on that day. However, court documents show that Mukanda himself had been a militia leader, and that he had subsequently become an informer for the Congolese army. Mukanda is also transferred to Kinshasa in November 2017 before the arrival of the UN investigator Robert Petit. 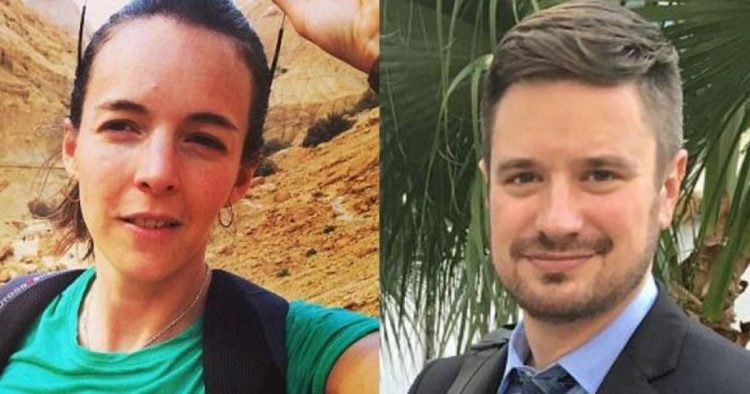 In sum: the fatal trip of the UN experts appears to have been organized by people who were informers of the Congolese intelligence agency, who lied to Michael and Zaida about the possible dangers of their trip. Were they acting on their own accord or under orders from the ANR? Hard to say, but at least Tshibuabua was in constant communication with local security officials throughout this period. Furthermore, a senior Congolese military officer appears to have put the UN experts in touch with their interpreter, who played a key role in organizing the trip and lying to the experts. The video of the killing also raises significant doubts regarding the authenticity of the Kamuina Nsapu killers, suggesting that they may have been outsiders pretending to be militiamen. Finally, the star witness at the trial, whose testimony was key in establishing the responsibility of the Kamuina Nsapu, was also an informer for the Congolese army. None of this proof that senior government official were involved in the killing of Michael and Zaida. However, it raises very serious questions and suggests that the UN Board of Inquiry––which downplayed the « conspiracy » of government involvement––should have been far more circumspect.